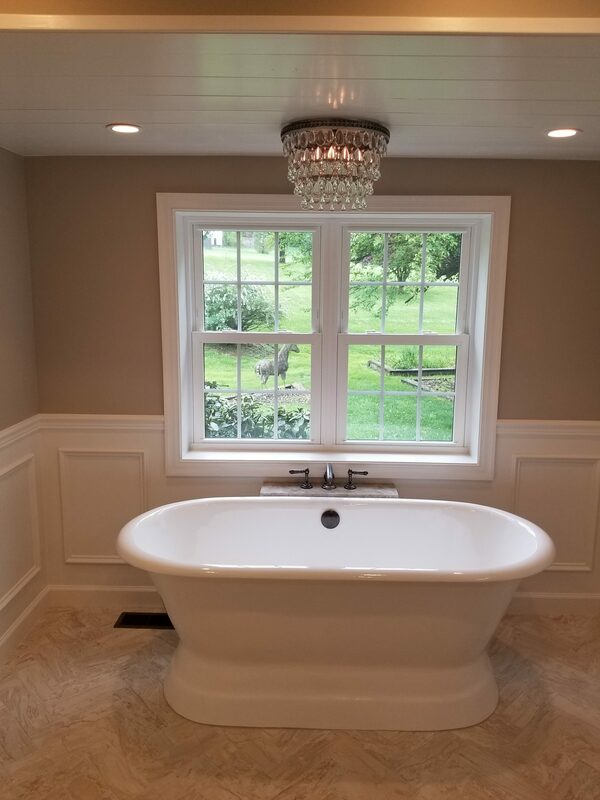 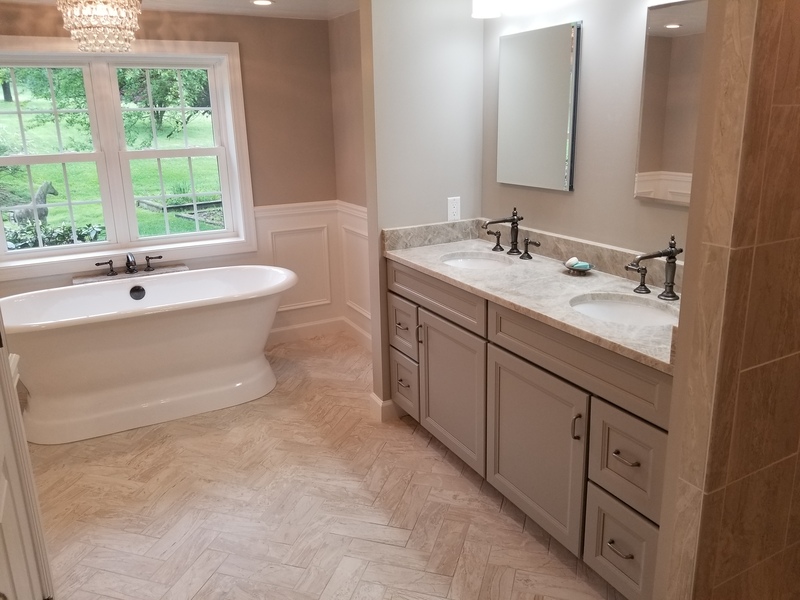 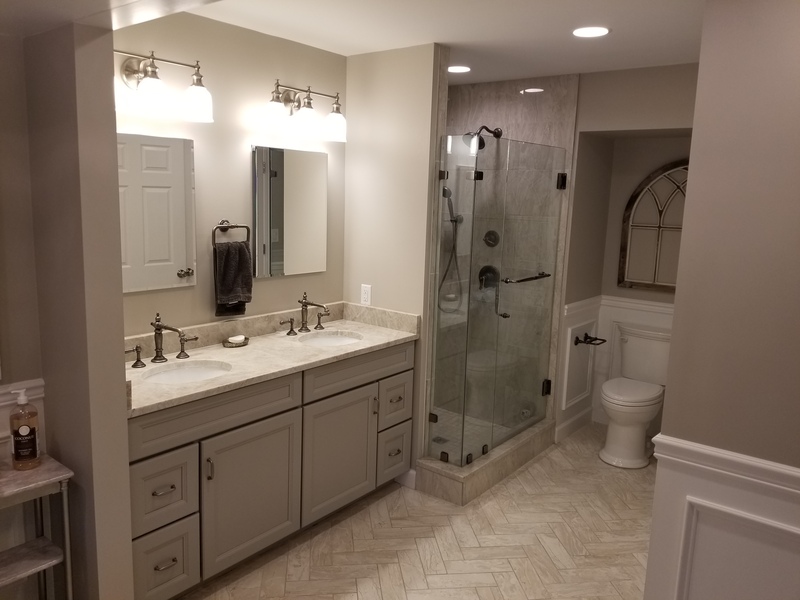 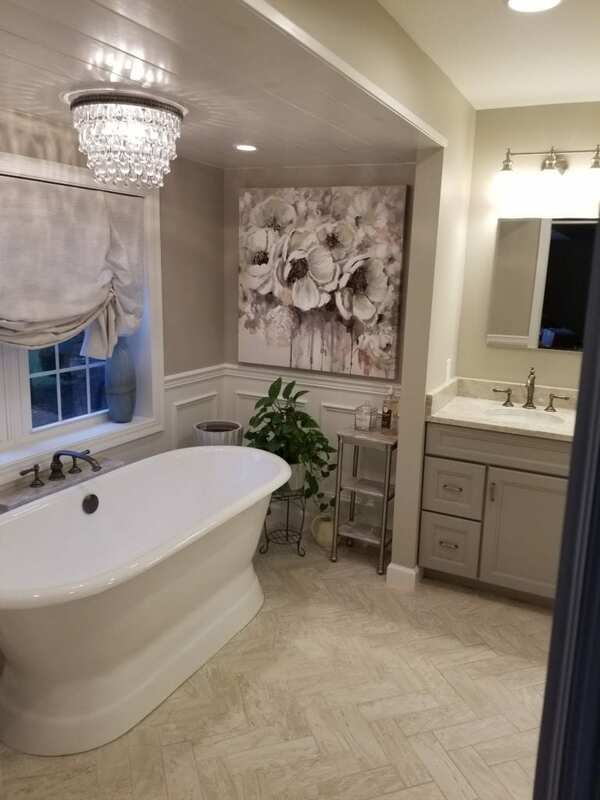 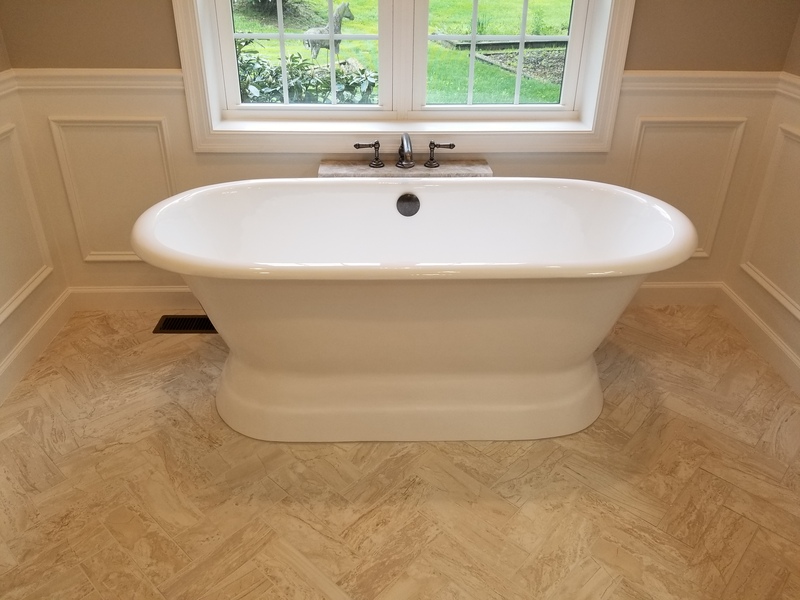 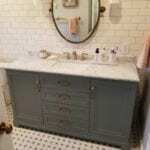 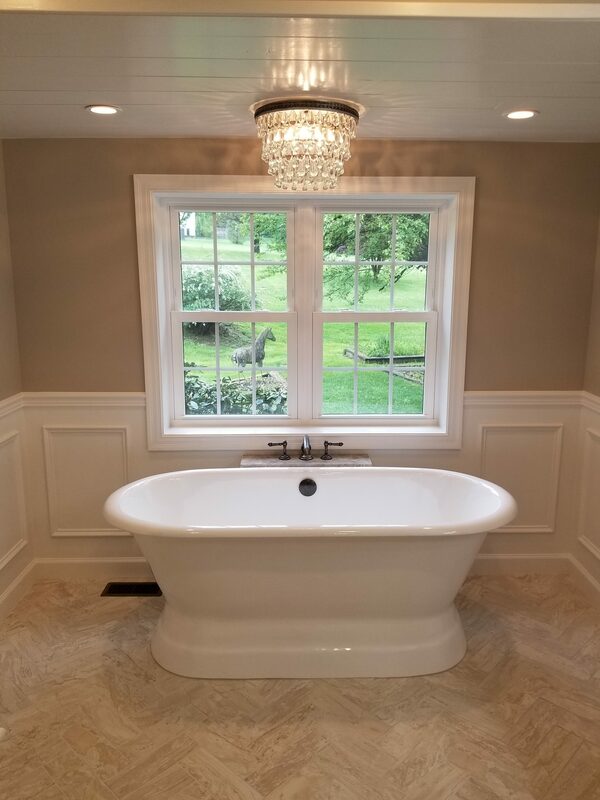 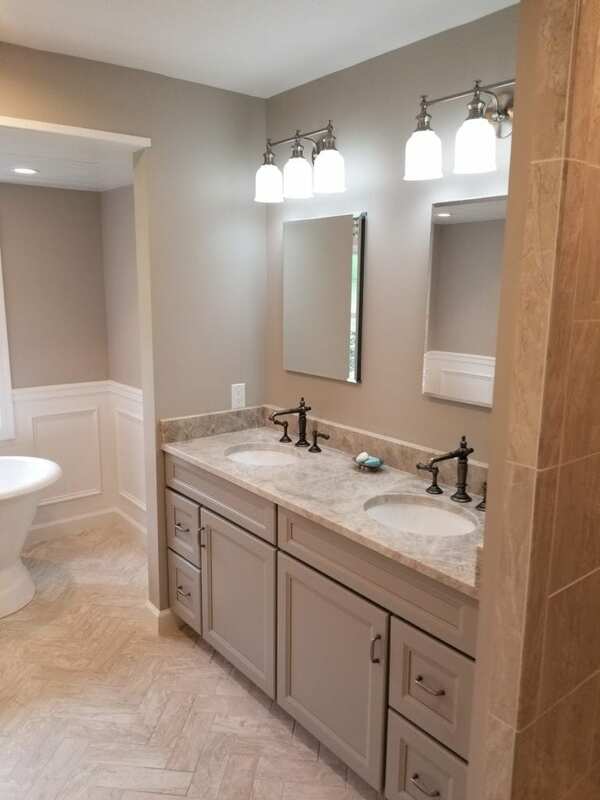 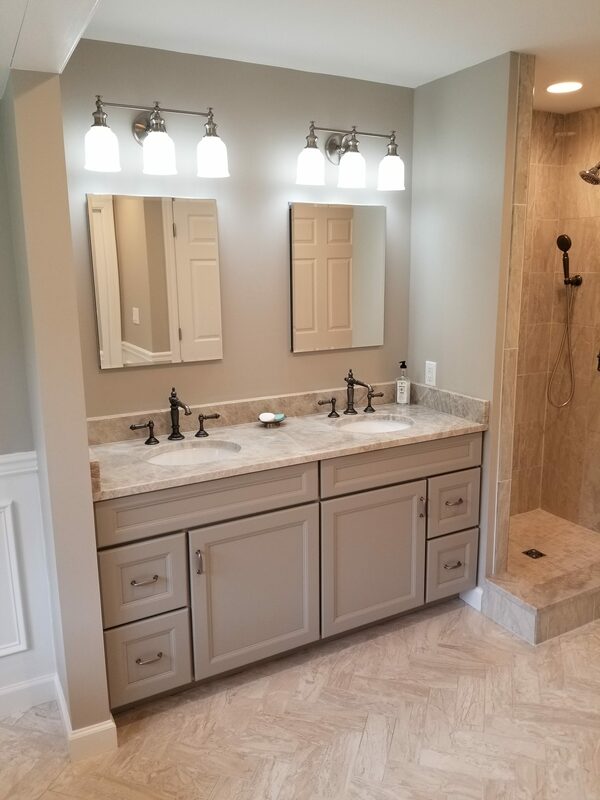 After a relaxing bath, they can step out of the tub onto the beautiful herringbone tile flooring. 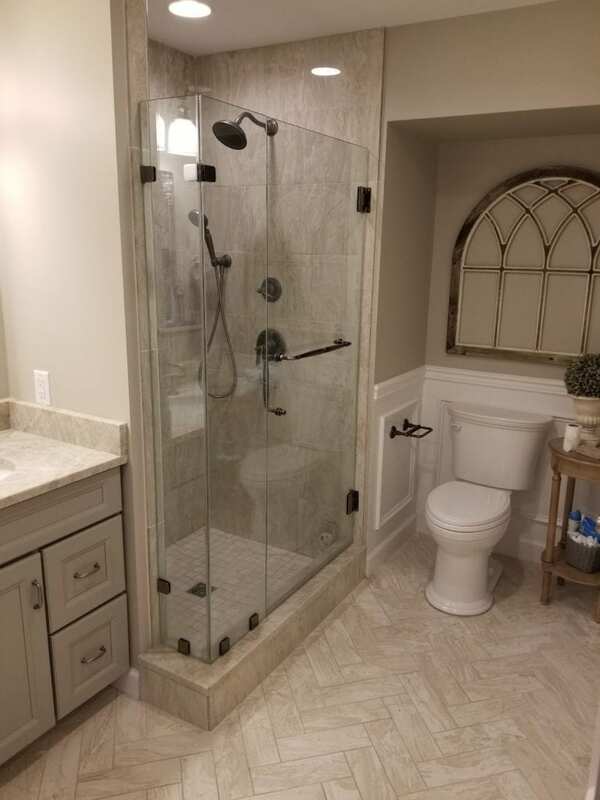 The new closet was installed straight across from the shower for easy access to towels and anything else one might need. 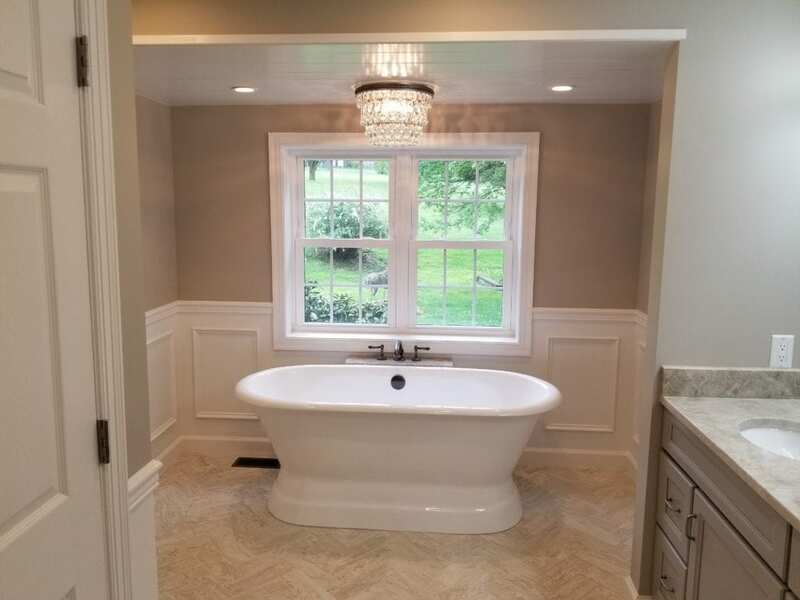 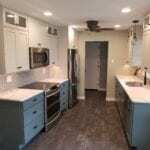 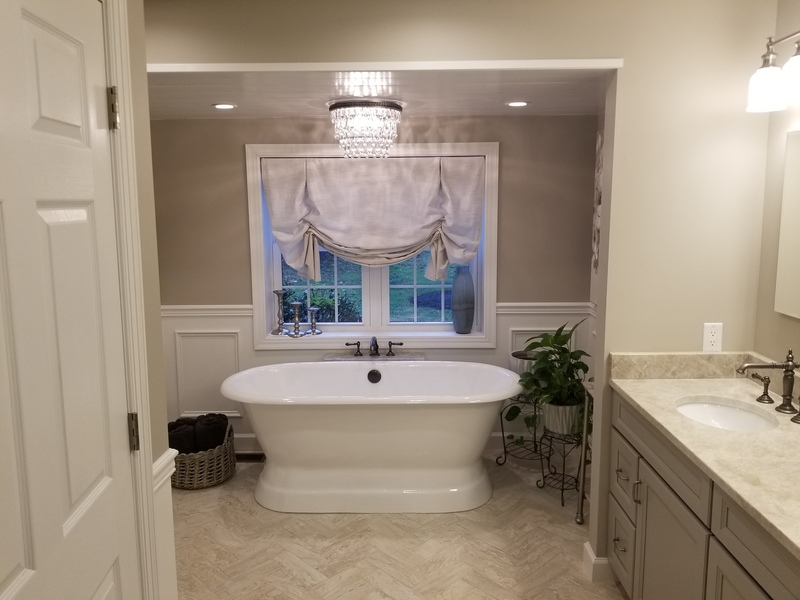 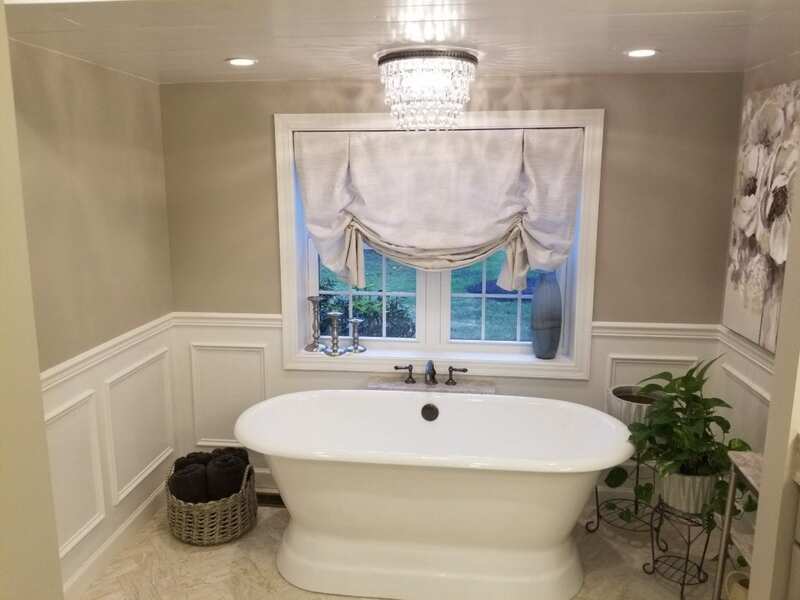 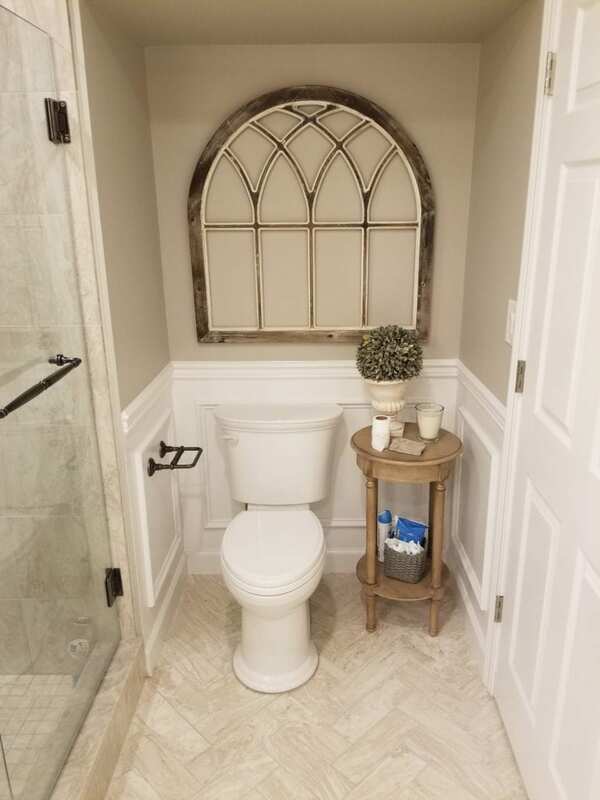 Everything from the Artifacts fixture and ship lap focal point to the raised panel trim and custom recessed lighting was installed by the experts at Eagle Construction.